In a career spanning more than four decades, Basanta Choudhury, often considered one of the most handsome actors on the Bengali screen, worked with several leading directors including Tarun Majumdar, Tapan Sinha, Goutam Ghose, Rajen Tarafdar, Bimal Roy, and Rituparno Ghosh. He had an almost dominating presence in every film because of his acting prowess and sophisticated looks. 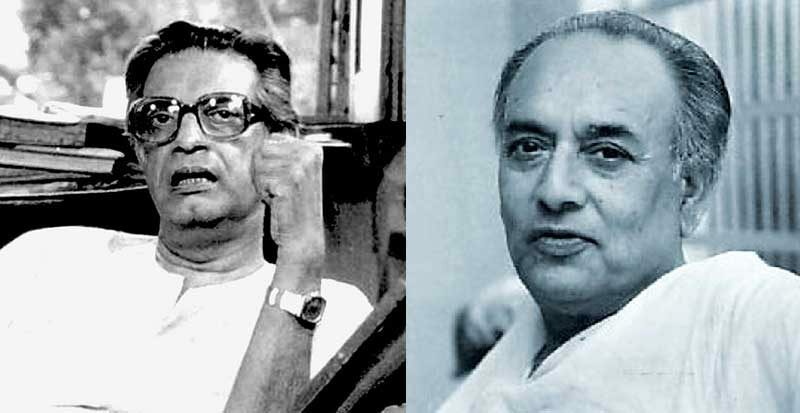 But what is relatively unknown to the Bengali audience is that at least on one occasion, Basanta Choudhury interfered in a Satyajit Ray film, much to the chagrin of the internationally acclaimed director. Circa 1955. Ray was shooting Aparajito, the second film in the Apu Trilogy. He had roped in Pinaki Sengupta and Smaran Ghosal to play the boy Apu and the character in his adolescence respectively. He was hunting for an actress to play Leela, Apu’s friend, who was perhaps the most important reason for the protagonist to study and work in Kolkata (then Calcutta). Leela had a major presence in author Bibhutibhushan Bandopadhyay’s novel on which the film was based. Ray auditioned Tandra Barman and found her suitable for Leela’s role. He shot a few scenes with the actress in the Indian Botanic Garden at Shibpur. 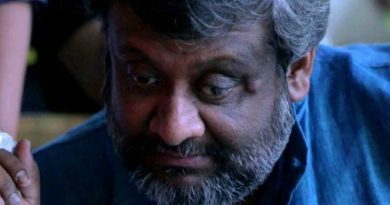 But according to some reports, the director was not entirely satisfied with Tandra’s look, and dropped her from the film. The other actress to audition for the role was Alaka Chakraborty whose grandfather Ajit Kumar Chakraborty was a close friend of Satyajit’s father Sukumar Ray. Alaka at that time was in a relationship with Basanta Choudhury, and upon hearing that she was supposed to appear in a film, the actor stepped in and denied her the role. Nothing could deter him to stop Alaka from working in films; not even one by Ray. A bitter Ray was left frustrated with the two incidents and decided to remove Leela’s character entirely from the film. But he did mention the Basanta-Alaka incident in his memoir—My Years with Apu—though he did not take the actor’s name. This was perhaps because Ray had a cordial relation with Basanta Choudhury. The actor had an enviable collection of shawls which the director borrowed for use in some of his films. But Ray’s production manager Anil Chowdhury was more candid. He mentioned about Basanta Choudhury’s interference in Aparajito in his memoir published in the magazine Ekshan. Eminent Hindustani classical vocalist, Kumar Prasad Mukhopadhyay, recounted the incident in his book Mehfil. 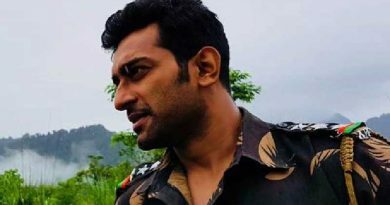 He wrote that Basanta Choudhury appeared out of nowhere on the sets of Aparaijto, and whisked away Alaka in his car, in front of the rest of the cast and crew. Aparajito released in October 1956 to widespread critical acclaim. The film won the Golden Lion at the 1957 Venice Film Festival. It won Ray the Golden Gate award for the best director at the San Francisco International Film Festival, 1958. Over the past six decades, Aparajito have had a profound impact on the works of several leading international filmmakers including Martin Scorsese, James Ivory, Elia Kazan, Abbas Kiarostami, Wes Anderson, and others. Akira Kurosawa, widely regarded as one of the most influential filmmakers in the history of cinema, hailed Aparajito as an outstanding film of the twentieth century. But Basanta Choudhury, who was opposed to women working in films, may have denied Alaka a lifetime moment of glory by not allowing her to appear in a Satyajit Ray film.